The fourth annual Houzz & Home survey on remodeling plans, budgets and priorities encompasses more than 170,000 respondents in the U.S. and more than 260,000 throughout the world. Kitchens are the most popular interior remodeling project across all age groups. On August 6-7, ASID + IDC will host the inaugural Impact Summit on Health + Wellness in the Built Environment at the Lake Nona Medical City in Orlando. Share your voice and make an impact on the future of health and wellness through technology and smart design. ASID + IDC (Interior Designers of Canada) believe that individuals and technology have the potential to impact health and wellness on a global scale. Join us for this one-of-a-kind summit that will bring together thought leaders from interdisciplinary fields to consider how the power of smart technology can influence the future of health and wellness through interior design. ASID + IDC seek to foster action through insightful and provocative programming designed to help members and participants connect, collaborate, and drive ideas to action. Help us make an impact on a healthier future for all. Learn more and register. A world class panel of speakers will convene at the Impact Summit, including Nadav Malin, president and CEO of BuildingGreen, Inc. Malin oversees BuildingGreen’s two industry-leading information and community-building websites - BuildingGreen.com and LEEDuser.com - and formerly served as executive editor of GreenSource magazine. Malin led the LEED Rating System’s Materials and Resources Technical Advisory Group, and served as chair throughout LEED’s formative years. He also led the team that created the U.S. Department of Energy’s High Performance Buildings Database. Meet Nadav Malin and all of our speakers at Impact Summit – register today. Don’t miss the interior design party of the year! Celebration: The ASID Awards Gala will take place at the Museum of Fine Arts, Boston on July 18, 2015 and will include a fantastic evening of dinner, dancing, and honoring those who are transforming lives through interior design. 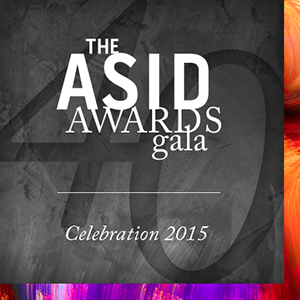 Join ASID in celebrating its 40th anniversary at an historic event you won’t want to miss. Purchase your ticket or table today! Hurry – ticket sales end on Friday, July 3. The ASID Interior Design Billings Index (IDBI) for May indicates a three point rise in billings from April’s score of 61 to a score of 63.7. The inquiries score was unchanged between April and May and remains at 67.1. Index scores above 50 indicate expansion, while scores below 50 indicate contraction. The high level IDBI scores over the past several months suggest a strong demand and positive outlook for interior design services. The IDBI findings are supported by an improving U.S. housing market, with May showing increases in new and existing home sales and construction spending. All of the indices signify a healthy climate for design services. The ASID Foundation’s annual silent auction supports its important work throughout the year. Hosted in conjunction with Celebration: The ASID Awards Gala in Boston on July 18, the 2015 auction will be 100 percent mobile and accessible to event attendees and anyone with an Internet connection. The online auction will open July 13, 2015 and will close at the end of Celebration on July 18. Check out the items up for auction today! The new Interior Design 2015/2016 Outlook and State of the Industry report is now available for purchase. The report provides evidence that the interior design industry is strong and growing and that it’s evolving, too. Macro-trends that affect all of us (Health & Well-being, Technology, Sustainability, Urbanization, Globalization, and Resiliency) are changing the topics we consider when working on design projects. The report continues to gain attention from such media outlets as MMBQ, Healthcare Facilities Management and Contract. To view the full economic data and trends analysis, purchase the full report. ASID members may purchase the report for $29.95, and non-members may purchase it for $44.95. Get your copy today! Cosentino Centers across the country will host ASID 40th Anniversary celebrations during July and August with all proceeds benefitting the important work of the ASID Foundation. All ASID chapters with Cosentino Centers close by are highly encouraged to participate and attend. Cosentino requests a $20 donation per person for a great evening of networking opportunities, wine and hors d’oeuvres, a silent auction featuring items donated by Cosentino and local Chapter members, and much more. The Cosentino Center that raises the most money will win a hosted party for the local ASID chapter and Cosentino employees. Additionally, ASID will award the chapter that raises the most money a special 40th Anniversary swag package and one free registration to a 2016 national event of their choice (GO PRO, Design to Lead, etc.) to award as they wish. More details and a full schedule of events are available here. Great design has the ability to transform rooms, homes, and even lives. ASID is teaming up with HGTV on their Fresh Faces of Design awards to recognize designers and their inspired work. The contest's unique categories include Great First Impressions, Organically Inspired, and Big City Digs. There’s even a category specifically devoted to students called Designers of Tomorrow: Innovative Spaces by Student Designers Headed Straight for the Top of the Class. Find the category that best suits your design style and submit your entry for consideration by July 15th to freshfaces@hgtv.com. Learn more about the contest and enter today! 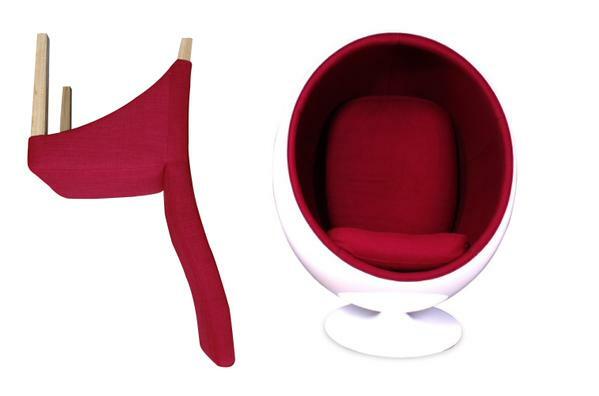 ASID and Allermuir congratulate Veronica Sanders, winner of the 2015 NeoCon Allermuir Grainger Chair Giveaway. Thanks to all who participated in the contest by submitting their creative depictions of “40” to celebrate the Society’s 40th anniversary at NeoCon. Check out all of the 40s we’ve received this year. We absolutely know how to design buildings and neighborhoods that promote well-being and abundance, but behavior is the wild card. It’s all in how people use their buildings. If we can understand behavior and create “situational cues” or “factors” in the physical environment, can we encourage positive behaviors, like using less energy? A panel of interiors experts from all corners of the industry came together for the recent FX Design Seminar on Color to talk color, styles, and trends. The issue of winning the client's confidence was agreed by most as a key challenge. There are nevertheless plenty of reasons to be cheerful for designers working in interiors now, as the scope for being creative is broadening in both commercial and residential schemes, with clients and consumers increasingly prepared to go bold with color. If CG Cloud has a say, you'll walk through entire virtual spaces that are almost indistinguishable from the real thing. Its latest creation is a space filled with 370 hand-drawn objects, like Herman Miller chairs, skylights, espresso makers, and even fresh lattes, being rendered in real time at a ridiculously high resolution (4K) for you to "walk through" virtually. Done smartly, social media can be a powerful marketing tool for kitchen and bath designers. “It is very easy to use social media to get your work published and to network with major online influencers. It is also very easy to launch a new service using social media advertising,” says The Kaleidoscopic Project founder Leslie Carothers. She shares her top media picks for this industry segment. If you’re an architect, a designer, an engineer, or even a BIM manager, will a robot take your job? While there is a low probability that a robot will take your job, what about a computer? Or what about Big Data? As design becomes more automated, what will the role of the designer be in the future? Respect has to be earned. It’s not about a title. When people respect you only because of your authority, they will give you minimum effort. Some incredibly brilliant people have earned respect because they are so smart, but most people aren’t incredibly brilliant. So how do you go about it? There are three ways. The construction market is being transformed by sustainable practices. An important factor driving the change is commercial buildings certified LEED Gold. Only 2 percent of all U.S. nonresidential building starts in 2005 were green. In comparison, between 40 percent and 48 percent of all nonresidential building starts in 2015 are expected to be green. Synthetic floor finishes may not be the best option when it comes to cost or indoor air quality – even those advertised as being free of volatile organic compounds. The use of eco-friendly oils and floor finishes made from natural ingredients can achieve significant savings over the long-term when it comes to floor maintenance costs, as well as improve indoor air quality and reduce the risk of adverse health effects. To craft her line of chic Mush-Lume lamps and lighting fixtures, interior designer Danielle Trofe combines agricultural waste, such as corn husks, with hemp and injects the mulch-like mixture with a fungal product called liquid mycelium. Two years ago, she began partnering with Ecovative, an upstate New York firm that produces grow-it-yourself materials. Sherwin-Williams has released the Colormix 2016 collection. This year’s annual forecast collection has a positive outlook and highlights mindfulness, happiness, indulgence, and well-being. Vintage workmanship, social engagement, and future technologies are also reflected in the collection’s four color stories. If you're tired of wires, you're going to love the next new thing in home décor: furniture and countertops with built-in charging pads. Set your phone or tablet down on a flat surface and recharge it without having to find an outlet or untangle a cord. Walk through any retail or designer-type shop and seldom if ever will you spot glass thicker than ½ inch. It’s this designer’s belief that ¾-inch glass is the better way to go as it conveys a richer and a stronger design statement. Use a ¾-inch-thick (or if you can, even a 1-inch-thick) glass and watch the magic happen. Who's Buying Luxury Home Goods? Once synonymous with wealth, opulence, and exclusivity, luxury has become more accessible. Consequently, it now means different things to different groups of consumers. Today, luxury is linked with other values besides just the accumulation of riches and power. Appealing to the luxury home goods shopper requires a deeper understanding of how they view themselves and what motivates them to buy. What makes a luxury purchase desirable? 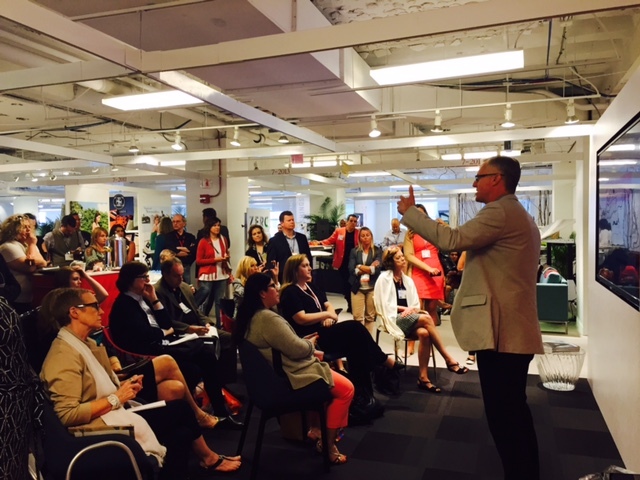 The winners of the 2015 Best of NeoCon Competition were announced Monday, June 15, at an awards breakfast hosted by Contract. The Best of Competition was awarded to Tuohy Furniture Corporation for WorkStyles. Eschewing the traditional blank-canvas method of leasing retail space, commercial landlords are turning to finished office spaces specifically for start-ups that would rather lease an office where set-up isn’t needed. These projects call for much more than design abilities. The designer has to think like a leasing agent and asset manager, and suggest the most beneficial solutions to the landlord. The patient room is one of the most important areas of any hospital, so it rightfully deserves plenty of design attention. Although it may be tempting for providers to pursue specialized patient rooms for specific populations, creating inpatient spaces that can accommodate multiple models of care will pay off in the long run. Clever commercial interior design can deliver a subtly persuasive environment that ensures guests part with their money with a smile. All guests have needs and desires. We need to understand when and where they want them met so we can respond accordingly and tease their desires at every opportunity.